Next time when you are out sat around the campfire with your kids, you can show them how to find the North or Pole star. The North Star is actually really easy to find. It is not the brightest star in the sky though as many people believe. The key to finding it is knowing where to find the two pointer stars – and that is it. 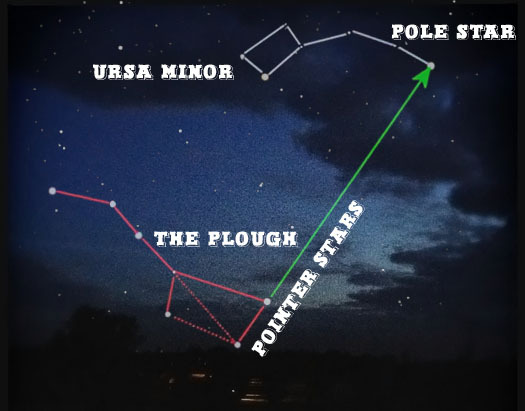 Find the Plough in the sky – it looks like a big saucepan. Find the last two stars at the leading edge, and trace these upwards. The star that these two point at is the Pole Star. If you look in that direction – that is North.